Mayer Lutheran High School is part of the Minnesota State High School League Minnesota River Conference. 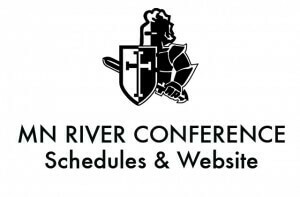 All MLHS athletics and activities calendars are maintained on the MN River Conference (MRC) website. The Mayer Lutheran calendar lists games and major activity events, but for the most accurate information, we encourage parents to use the MRC calendar. Once there, you have the option of subscribing to specific teams and activities. If there are changes to the schedule, your online calendar will be automatically updated to reflect the current schedule. You may also request email alerts to changes. For paper calendars, you can select and view the appropriate activity and choose download and print.